As an alternative to the more-obvious premium offerings, the Lincoln MKX certainly makes a worthy case for itself. We won’t sugar coat this: the Lincoln MKX isn’t quite up there with the very best in this class. Whilst the Lincoln MKX is far from being a bad car, we do feel rivals like the Lexus RX, Volvo XC90 and Audi Q7 are overall better SUVs. That being said, the Lincoln MKX does still offer an enticing package: space is good, comfort levels even more so and the optional turbocharged gasoline engine is a real treat of a powerplant. Crucially, though, the Lincoln MKX is noticeably more affordable to buy than many of its rivals. Though it can obviously become more expensive if you’re not too careful with the options list. Overall, the Lincoln MKX isn’t a vehicle that we can instantly recommend if you’re after a more upmarket SUV. However, we do still feel it’s a car that’s worth considering – and especially if you’re after something a little bit left-field. Sharing parts with other cars is fine, but we’d have preferred it to not be quite as immediately obvious in the Lincoln MKX. For the most part, the Lincoln MKX disguises its platform-sharing escapade with the Ford Edge rather well. However, there are elements where this joint use of the same features is made apparent, with the Lincoln MKX’s interior being the most obvious area of this. 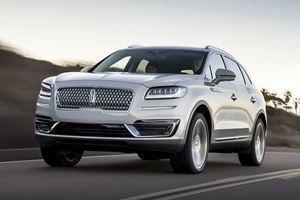 Though the Lincoln does admittedly have a few premium additions to differentiate it from the donor car, the prevalence of cheaper-than-we’d-like-in-a-$38,000+-car plastics and a control layout on the center console that’s been lifted straight out of the Ford Edge do eliminate the more upmarket sheen in the MKX. Sharing parts with other cars is fine, but we’d have preferred it to not be quite as immediately obvious in the Lincoln MKX. At least the pinching of Ford tech does at least mean the Lincoln MKX has an intuitive and easy-to-use cabin. The touchscreen infotainment system in particular is slick, responsive and has a crisp resolution, with the simple layout of buttons and knobs meaning the controls that aren’t covered by the touchscreen still aren’t taxing to operate. Our only complaint in this regard are the center console’s drive selector mode buttons for the automatic transmission: though it doesn’t take too long to familiarize yourself with them, we’d have preferred it if the Lincoln MKX had a conventional gear lever in place. Space for passengers is pretty good overall. That said, having a gear lever would have encroached on the Lincoln MKX’s storage capabilities. On top of the sizeable door bins and good capacity glovebox, there’s also a handy tray underneath the transmission tunnel that’s handy for leaving everyday items like wallets and cell phones on longer journeys. Plus, the trunk space is also fairly good: the shallow load lip, large aperture and boxy proportions make it quite a usable space, and the capacities (37.2 cubic feet with the rear seats up; 68.8 cubic feet with the rear seats down) help make the Lincoln MKX one of the most practical vehicles in this segment. Our only major concern, in fact, is that the rear seats are only available in a 60:40 split configuration, whereas most rivals are beginning to adopt a more versatile 40:20:40 setup. Space for passengers is pretty good overall. Head and leg room is great all around, so six footers should be able to sit comfortably on longer journeys, there’s lots of adjustment in the driver’s seat and the rear row in particular is broad enough to accommodate three adults without them feeling too hemmed in. It’s worth pointing out, though, that the Lincoln MKX is only available as a five-seater car – meaning you’ll need to opt for an Acura MDX or Volvo XC60 (or, if you really need a Lincoln SUV, a Lincoln MKT or Lincoln Navigator) if you need an upmarket three-row SUV. Though the Lincoln isn’t a bad vehicle to drive. Buyers who’d prefer a slightly more hunkered-down driving experience may be a tad disappointed with the dynamics of the Lincoln MKX. 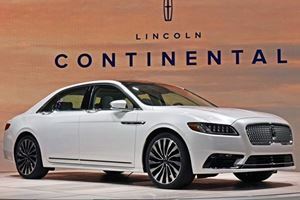 Though the Lincoln isn’t a bad vehicle to drive, there’s no getting away from the fact its comfort-oriented approach has robbed the MKX of the directness that a vast majority of its competitors possess. However, that has resulted in the Lincoln MKX being quite a comfortable cruiser. Large and sharp lumps and bumps in the road surface are pleasantly isolated from the cabin, and the well-controlled body movement means the car doesn’t bob up and down over undulating sections of asphalt. If there’s anything major to criticize about when behind the wheel of the Lincoln MKX, it’s the rear visibility. That same body control also means the Lincoln MKX remains fairly level when cornering, and the combination of good forward visibility and the fairly responsive steering means it’s fairly straightforward to place the car where you want it on the road. Refinement levels are pretty good too, with only the slightly intrusive wind noise at highway speeds spoiling an otherwise rather silent cabin. If there’s anything major to criticize about when behind the wheel of the Lincoln MKX, it’s the rear visibility. Though the standard-fit reversing camera, rear parking sensors and blind spot mirrors (on top of the blind spot monitoring system that’s available on all but the most basic cars) are helpful, the chunky rear pillars and small rear window do make it a tad challenging to see what’s going on behind you. As standard, the Lincoln MKX comes with a 3.7-liter six-cylinder gasoline engine. 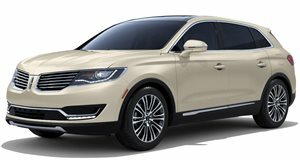 As standard, the Lincoln MKX comes with a 3.7-liter six-cylinder gasoline engine that produces 303-hp and 278 lb-ft of torque. Though such outputs make it appear quite acceptable for such a large car on paper, in reality we don’t feel this engine is amazingly well suited to life under the Lincoln MKX’s hood. For instance, whilst those outputs are strong, they are only accessible at higher revs – meaning you’ll need to work the engine a fair bit in order to get up to pace in a quick manner. Admittedly, it’s not like there aren’t any reserves of thrust to call upon at lower revs, and the engine remains fairly refined regardless of what the rev meter states, but we would have preferred a vehicle with such premium aspirations as the Lincoln MKX to have a more effortless engine. Fuel economy also isn’t brilliant, with claims of 17mpg in the city and 26mpg on the highway for the front-wheel drive model (adding the optional all-wheel drive increases fuel consumption to 16mpg city/23mpg highway) being quite disappointing in a class where 20mpg+ for city driving is becoming the norm. We feel this 2.7-liter is far smoother and more refined than the 3.7-liter. What really makes us feel relatively apathetic towards the 3.7-liter, though, is the superiority of the other engine available for the Lincoln MKX: a 2.7-liter turbocharged six-cylinder gasoline engine. Thanks to its superior outputs (335-hp and 380 lb-ft of torque), this smaller engine is noticeably brisker than the standard car, and we feel this 2.7-liter is far smoother and more refined than the 3.7-liter – meaning, if you do lots of highway miles, we feel it’s definitely an engine you should consider. Fuel economy also improves, though admittedly only slightly and only if you’re comparing the two all-wheel drive versions of the Lincoln MKX with each other: whereas the all-wheel drive versions get efficiency bumps to 17mpg city/24mpg highway, the front-wheel drive economy remains the same. It’s also worth highlighting that those improved economy gains still aren’t amazing by class standards – though, due to the 2.7-liter’s superior flexibility, we feel it’s definitely worth the extra $2,000 if your budget stretches that far. All Lincoln MKX models come with a six-speed automatic transmission as standard, and overall we feel it’s a good-if-not-great transmission. The limitations of a six-speed are prominent when you consider most rivals have seven-speed or even eight-speed automatics, and the transmission in the Lincoln MKX isn’t as smooth or as responsive as the units in rival cars. Granted, it still changes gears quickly and effectively enough and doesn’t dither around when you leave it to its own devices, but we do feel the Lincoln MKX’s transmission isn’t quite on par with what the best-in-class are capable of. Regardless of which version you go for, the Lincoln MKX will come with a good amount of equipment as standard. Perhaps one of the more prominent selling points for the Lincoln MKX is its relative affordability. 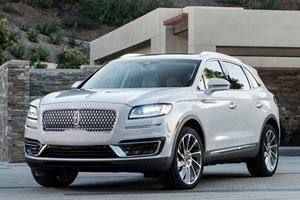 In comparison with its chief rivals, the Lincoln MKX does undercut quite a sizeable portion of its competition by a noticeable margin: the base price of $38,260 is on par with higher-spec mainstream SUVs of this size, with the $53,475 asking price of the range-topping ‘Black Label’ model retailing for similar prices to those of entry-level premium SUVs like the BMW X5, Audi Q7 and Mercedes-Benz GLE. Regardless of which version you go for, the Lincoln MKX will come with a good amount of equipment as standard. 18inch alloy wheels, a reversing camera, rear parking sensors, dual-zone climate control, power-adjustable front seats and a speaker-based sound deadening system that’s similar to the technology found in noise cancelling headphones. Only the absence of leather upholstery (fake leather is in its place on the entry-level ‘Premiere’ models) puts us off this particular trim. For most buyers, we think the $41,550 ‘Select’ specification of Lincoln MKX will be h enough. On top of the features found on the ‘Premiere’ trim, ‘Select’ also introduces leather upholstery, LED exterior lights and convenience features like a power-adjustable steering wheel and a powered tailgate. Factor in the $1,100 for the ‘Select Plus Package’ (blind spot monitoring, built-in navigation), and you’ll have a very nicely-specified Lincoln MKX that’s on par price-wise with an entry-level Lexus RX or Volvo XC90. Thanks to its complement of stability systems and front, side and curtain airbags, the Lincoln MKX was awarded the full five stars in its most recent NHTSA crash test. Of course, there are her trims on offer. Buyers who’d prefer to have heated and ventilated front seats, a panoramic sunroof and the Select Plus Package contents included in the list price will find much to like in the $45,560 ‘Reserve’ trim, and those who’d prefer to personalize their Lincoln MKX and/or have an all-inclusive ownership experience (ranging from complimentary car washes and extended warranties to even having your own unique point of ) will certainly be tempted by the $53,475 range-topping ‘Black Label’ version. Safety-wise, the Lincoln MKX fares rather well. Thanks to its complement of stability systems and front, side and curtain airbags, the Lincoln MKX was awarded the full five stars in its most recent NHTSA crash test. Other features like rear parking sensors, a reversing camera, integrated blind spot mirrors and a ‘MyKey’ system that allows the driver to set parameters such as speed and radio volume restrictions will be very much appreciated. The Lincoln MKX has proven itself to be a fairly sturdy car, so there hopefully shouldn’t be any reliability concerns during your ownership period. Should something go wrong on your car, though, there are rather-good-by-class-standards four-years/50,000-miles bumper-to-bumper and six-years/70,000-miles powertrain warranties to fall back on. If your budget can stretch to the pricier alternatives, we wouldn’t instantly recommend the Lincoln MKX. Whilst it’s certainly a good car (on top of being an undeniably sizeable improvement over its predecessor), the Lincoln MKX doesn’t quite have the sheen of the more expensive and overall less compromising vehicles in this segment. That said, there is still lots to like about the Lincoln MKX. It’s rather practical, is well-suited to life as a long-distance car and is fairly affordable when you compare it with many of its chief rivals. Only the iffy fuel economy, the slightly disappointing base engine and the trim pieces that betray the car’s Ford Edge-based origins hold the Lincoln MKX in a meaningful way. If those issues don’t bother you, then by all means consider the Lincoln MKX. As we’ve stated before in this review, it’s certainly a very likeable car. However, if you’re in the position where you the more expensive and overall better rivals are within your budget, we reckon you should try them out first before committing to buying a Lincoln MKX. Looks like Lincoln is slowly trying to ditch its “MK” naming convention.